I love the Rolling Stones. Even after 50 years, the music still sounds great. How do the Stones stay relevant? It’s all about branding. And there are plenty of lessons they can teach us about how we can run own businesses. Mick and Keith probably have one of the most notable love and hate relationship the music industry has ever seen, but it’s a dysfunctional relationship that actually works. After all, Mick kinda bombed at going solo and if Keith went at alone, who would care? You can’t do everything by yourself, so learn to put your ego aside. Focus on the rhythm of your business and the rest will take care of itself. 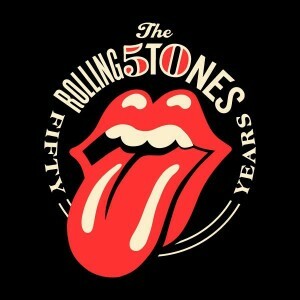 It’s hard to imagine the Rolling Stones without that famous logo, but that’s an important lesson in and of itself. Whether it’s music or business, branding matters, so it’s essential you have the right logo if you want to build trust. Here’s one way to see if you have a good logo. Ask yourself: Would you wear your logo in public? I’m writing this at 30,000 feet on a plane to Florida, and I happen to be wearing my Mega Partnering logo right now – because I take great pride in my role in founding the world’s #1 wealth networking and business conference. Rolling Stones are not exactly my kind of band (I love the Beatles), but I like their I Can’t Get No Satisfaction. An iconic song for the modern man’s seeker of Truth. That there’s really much more to life than fame & fortune. As in helping the disenfranchised, which gives you the satisfaction of not wasting your life here on Earth. As before another amazing article with very important concepts. Using all concepts mentioned above consistently in our life and business will lead us to be very successful. Thanks for sharing, really enjoyed it. I love these articles, keep them coming JT. PS. 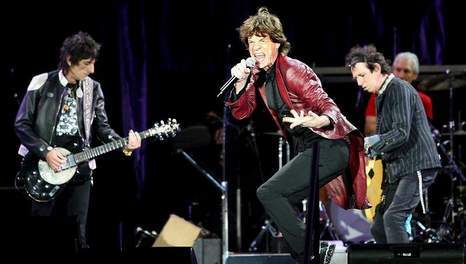 I can remember being at a concert in the UK when the Stones and Beatles were in the same concert. That’s before the days of one band concerts, when there were multiple celebrity acts all in the one show. Sure dates me, love the Stones, Beatles and of course Elvis, miss all the songs you can actually sing along to. November 12, 2012 - 7:35 pm Dennis D.
What a genius! You taught me valuable business concepts by talking about the Rolling Stones!! JT, thank you for your passion, mentoring and leadership. See you in the front row at Mega Partnering 6!! Rolling stone is perfect example. That photo of Mick Jagger is so powerful. It’s all about energy. How can you fail if you have that kind of power/energy? Looking to rocking and rolling with you at Mega partnering. I will be sending Jessica a note re: my logo needs a “WOW”. Loving the excitment of being in the know how with who. JT keep the morale boosters coming. Great article JT!!! I am always good at creating a wow factor but for some reason it had kinda slipped my mind in designing my latest website. Thanks fr the million dollar reminder!!! Appreciate you. Thanks JT for shaken up my thinking. Branding is so much a part of our success formula and your the brand master. JT Great Metaphor and reinforcing if you do what you love you will always be happy. Something to say about passion and creating excitement! Thanks for sharing. Genius!!! I am also going to email Jessica I need a new logo also. This is one of the best articles I have ever read !!! JT, thanks for the information you provide to us. I appreciate your time and insight. You sure have the ability to make me think! I just wish to be born again….If I only Knew what I am learning now, I will rock more!!! Gracias!! Great example of an enduring brand and band. Maybe you can bring them to Mega Partnering! Very grateful for the way you care/share your insights and help us succeed. Thank you! Great brand I can really say. That logo brand with the tongue actually came from the 1977/1978 album that had the track I Miss You, on the album.